Tomorrow, Tuesday 1/31, issue 8 of Fat Quarterly will go on sale. 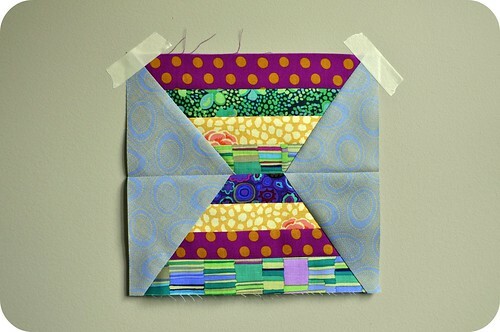 I'll actually have two quilt patterns in this issue! My twins are giving a sneak peek of one of them above. I call this quilt Double Happiness, and it was made from Kate Spain's new line for Moda (Good Fortune) and it was so beautifully quilted by the talented Jackie Kunkel of Canton Village Quilt Works. 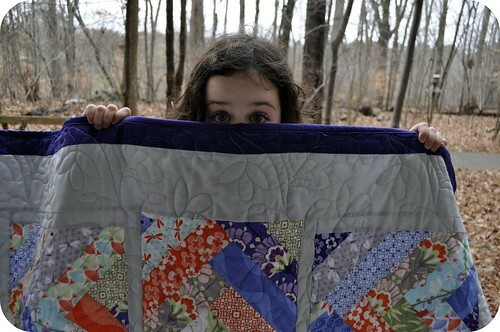 I'll reveal more of this quilt, as well as my other quilt from this issue, shortly. In the meantime, if you've received issue 8, I'd love to hear what you think! 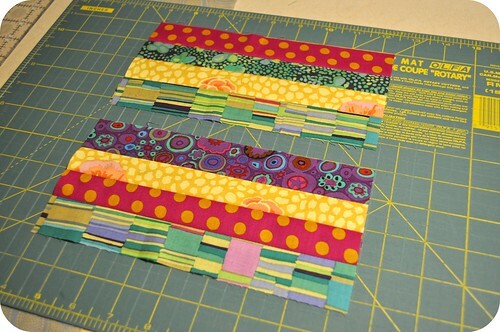 I've been working on getting a bunch of new things finished up and should be able to get some pictures posted soon, but in the meantime I thought I'd catch up on sharing some quilting bee blocks that I made in late 2011. October was my last month in the do. Good Stitches charity bee. 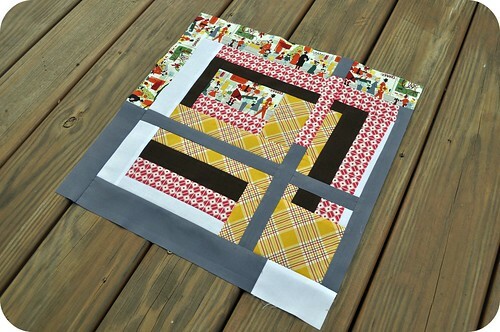 We made string x-blocks using this tutorial with bright modern scraps for the center part of each block, and any shade of grey for the background. 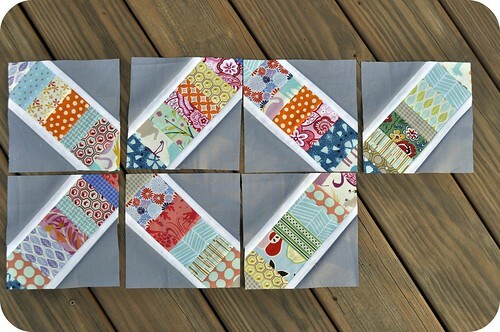 I had a great time raiding my scrap bin for these blocks and, when all was said and done, I wound up making seven! 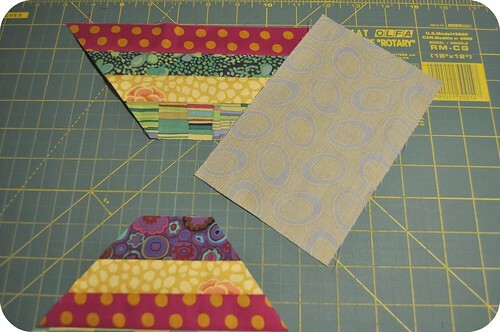 I had a bit of a panic attack when Amisha requested hexagons for her blocks from members of the Bee Tweet group, inspired by Rashida's quilt from the Block Party book. 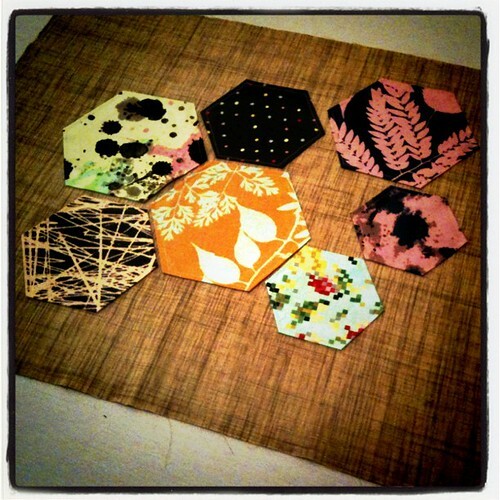 I had only tried making hexagons once before, for Tacha in the bee inspired quilting bee back in 2009. 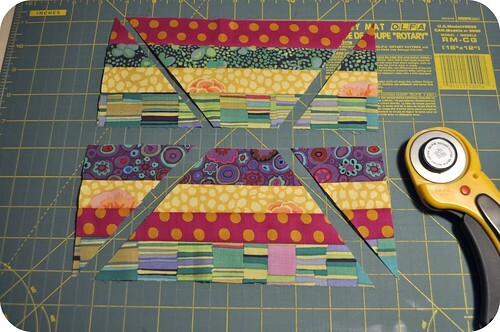 Let's just say that hand piecing was not my thing, and I vowed never to attempt English paper piecing again. Lucky for me, Amisha didn't care how we made our hexagons, as long as we just made them! 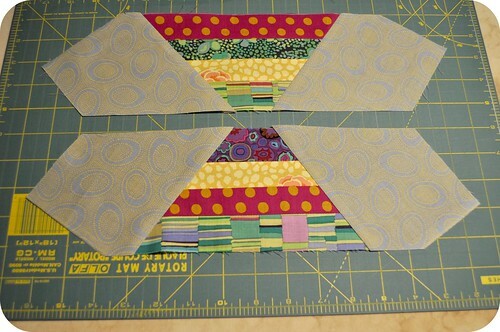 So, while I was at the Triangle Modern Quilting Guild retreat at Wrightsville Beach NC last fall, I cooked up my own way of completing the task. 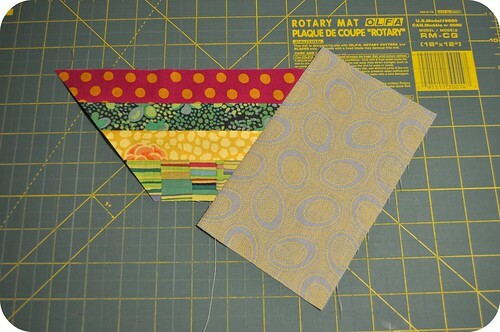 I used cardboard templates to cut and fold under the edges of the blocks, pressed the hexagons liberally, adhered the hexagons to the background fabric using fusible interfacing, and topstitched around all of the edges. 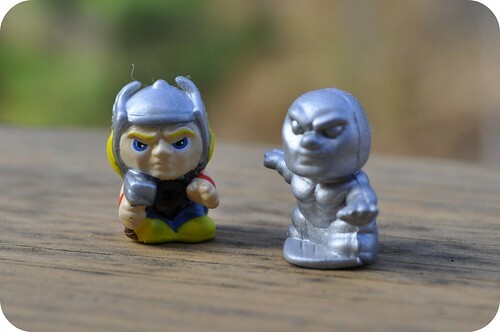 I actually kind of loved making them, once I devised my own strategy to get them done. 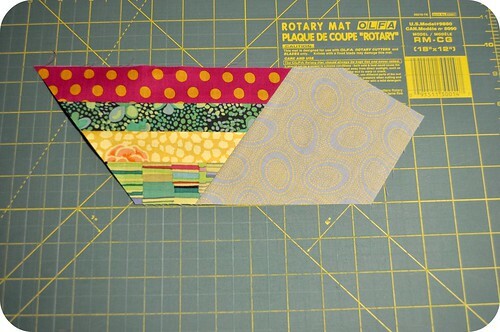 I also LOVED Amisha's palette -- Habitat prints by Jay McCarroll against a background of Moda Cross-weave in Natural. 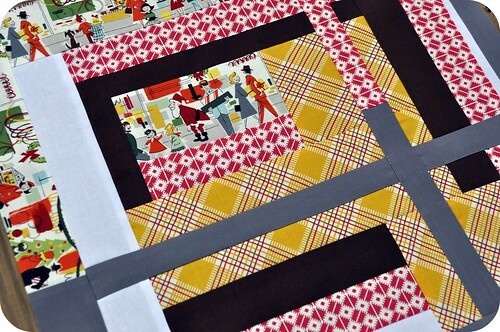 Modern and improv-y log cabin variations -- my favorite kind of block. 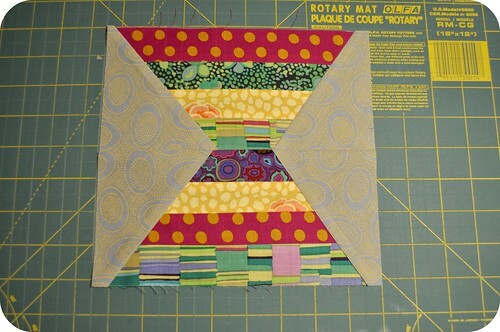 Free Bee -- led by the always fabulous Lynne from Lily's Quilts, this group is filled with an eclectic bunch of modern quilters with an emphasis on free piecing. 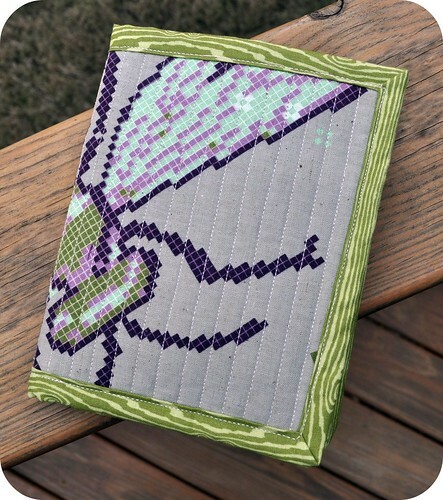 The Traveling Quilts -- I've teamed up with my PIC (partner-in-crime) Heather to start this new group, which is kind of a new concept in virtual quilting bees. I think it's going to be GREAT (and with the likes of Jacquie, Ashley, Alissa, Monica, Amber, Elizabeth, Faith, Penny, and Kerri taking part, how can it not be??) 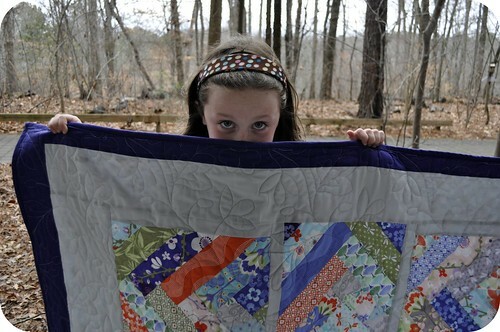 I'm sure I'll be posting more about the Traveling Quilts in an upcoming post. So what does that mean? 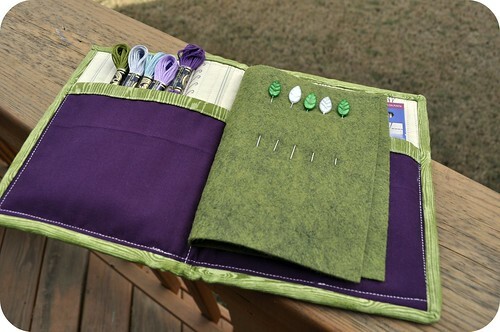 Lots of great more monthly sewing (and monthly sewing posts) in 2012! Before the holidays, I participated in one final swap for 2011: the #SSSwap (a shortened Twitter handle for Secret Santa Swap), organized by the super fun (and funny) Amy. 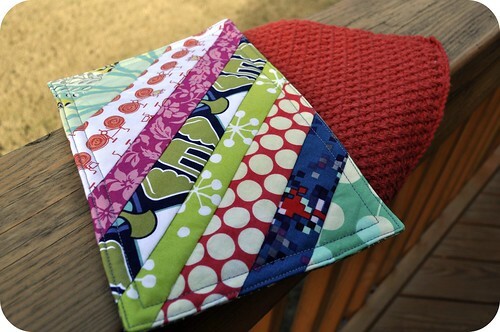 Over 40 really talented quilters and designers signed up for this swap, in which we were free to swap anything we wanted -- handmade or not -- up to $15 in value with a secret partner. It was great fun and a wonderful lead-in to the holidays. 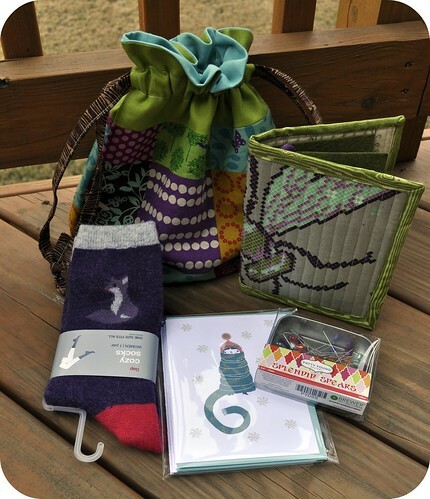 As you might expect, quilters and crafters also happen to be FANTASTIC gift-givers! I must have been a very, very good boy last year, because I was fortunate enough that Rachel pulled my name in the swap. Imagine my surprise when I opened my swap package and pulled out not one, but four gift bags! Yes, that's one big bag for me, and a smaller bag for each one of my children! Now how thoughtful is that?! 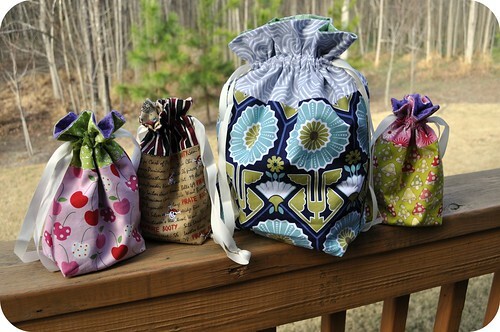 The drawstring bags were made using Jeni's great tutorial. A NEW MUG RUN AND KNIT DISHCLOTH! Thank you so, so much, Rachel. Words can't really express how much I truly appreciate how thoughtful and generous you were to me and my family during the holidays. 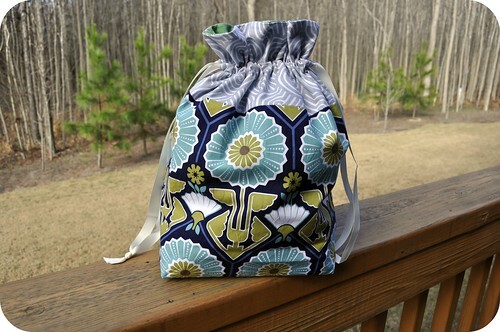 I also made a drawstring bag using Jeni's tutorial. 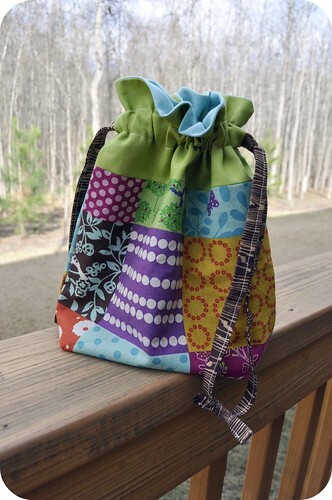 I used a cheater patchwork Echino print and some solid Essex Linen for the top and interior of the bag. I also used a favorite woodgrain print by Joel Dewberry for the drawstring. I stuck some coordinating floss and needles inside. 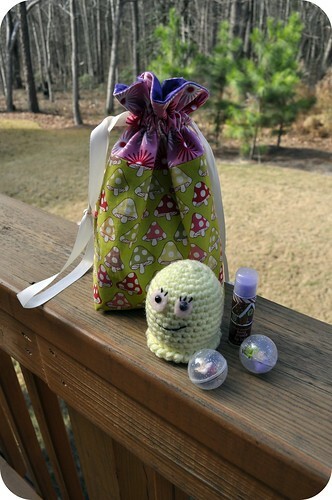 I hope Elizabeth enjoyed her gifts as much as I enjoyed making them for her! And I also hope there will be a #SSSwap 2 next year. 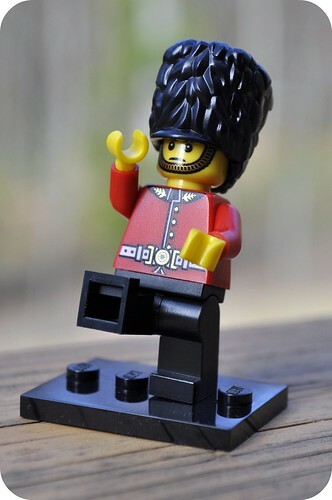 Hi everyone, and Happy New Year! I hope you all had a wonderful holiday. I know it's been a bit quiet 'round these parts. I wound up unplugging and taking an unexpected (but much-needed) break from most things electronic over the holiday break. We had a great Christmas here in the Quilt Dad house -- we actually stayed home for the first time, and it was a joy to see the kids wake up in their own beds on Christmas morning. After Christmas, we headed up to New York City, where we visited with family, saw the tree at Rockefeller Center, and took the kids on their (now annual) pilgrimage to the American Girl store on 5th Avenue. We stayed in the Big Apple -- more specifically, Brooklyn -- through New Year's, and returned home on January 2nd. 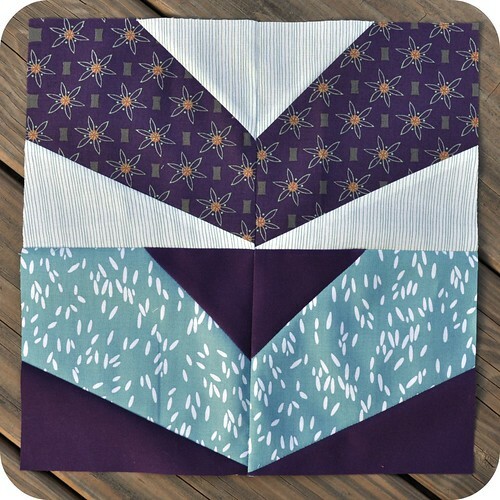 While I work on gettin' my groove back, I wanted to let you know that I put together a new block pattern to celebrate the start of the new year! 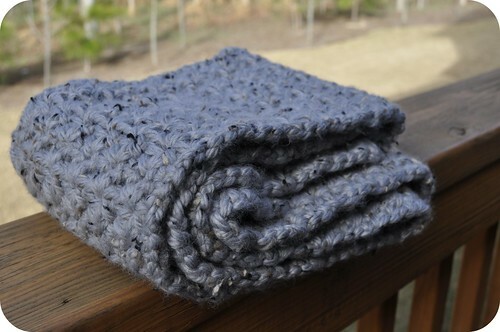 I call it "Modern Starlings", and the free pattern is available over on the Generation Q blog. I was excited that Scott, Jake, and the crew at Gen Q invited me to be a Guest Block Designer as part of their Playdate series, and quickly actualized this block that had been rattling around in the back of my head for weeks. 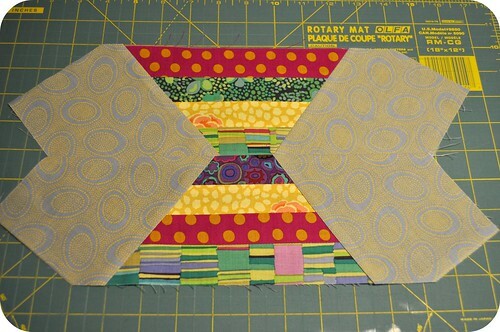 I think it's a fun block with a lot of potential -- Scott and I have even been batting around some full quilt pattern ideas using this block. 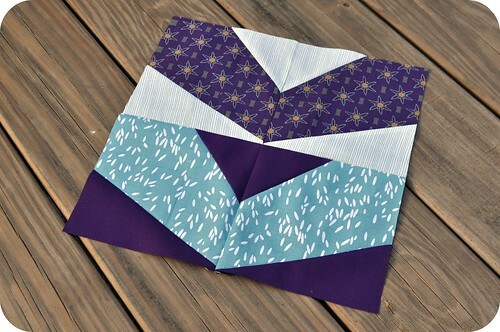 I hope you like the block, and if you make any, I'd love to see them. 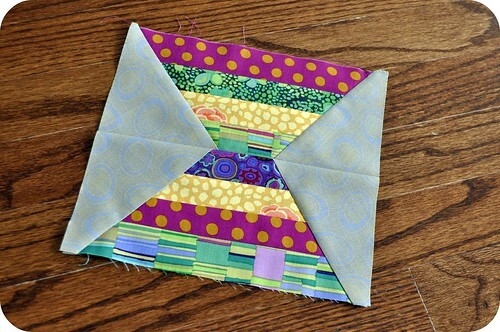 Be sure to add them to the Quilt Dad is my Homeboy Flickr group. Oh, and P.S. thanks for all of the love on my Hey Girl post. I am so glad that it was able to provide some laughs to so many of you over the past few weeks. I literally received hundreds of positive comments via the blog and Twitter, and one really ugly, nasty, negative email from someone who I clearly offended. Oh well, you can't win them all. I haven't had any flashes of Hey Girl inspiration since before the holidays, but who knows ... Ryan may make another appearance here on the blog soon.